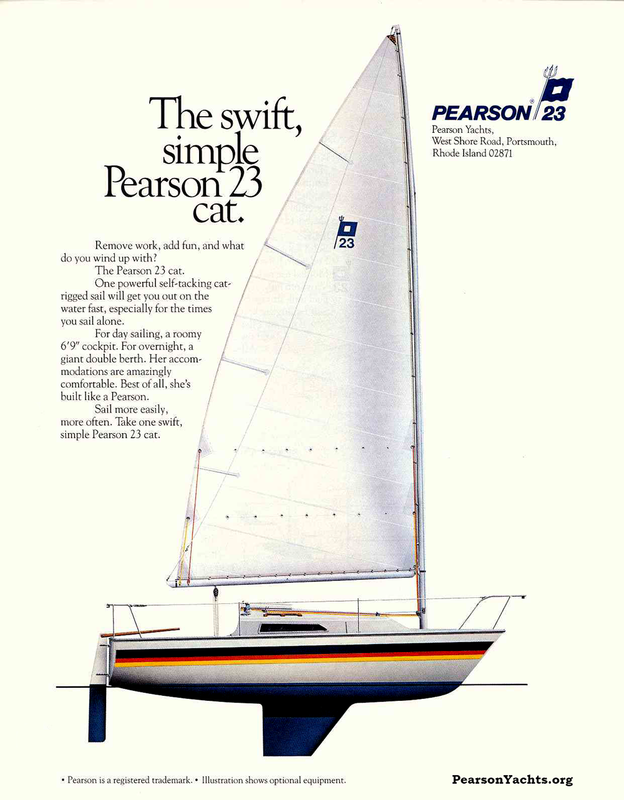 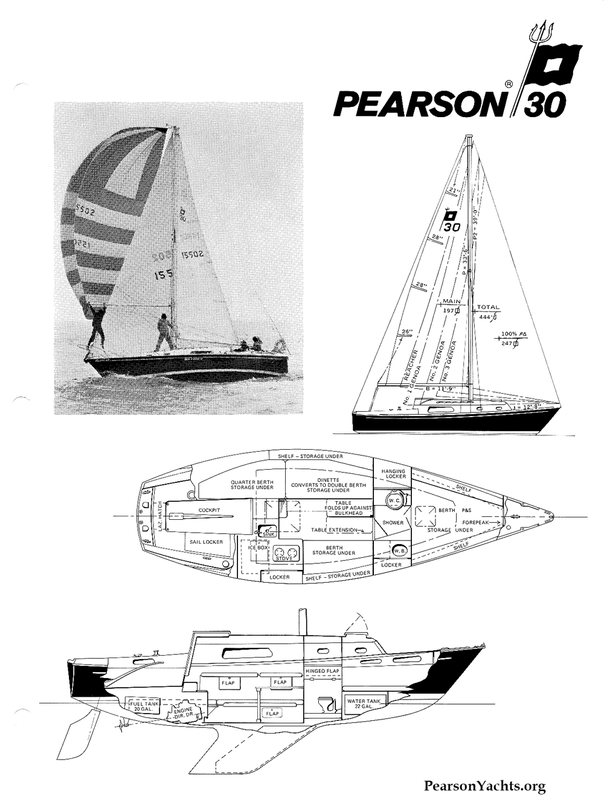 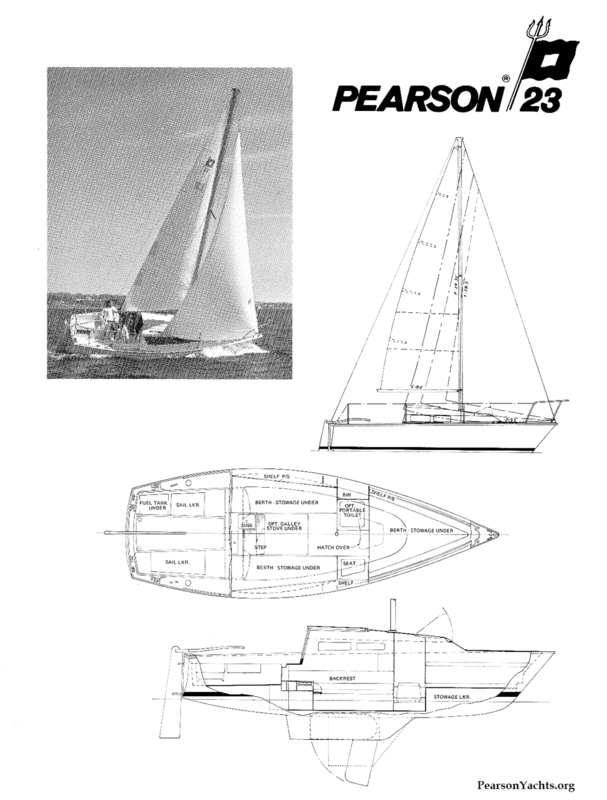 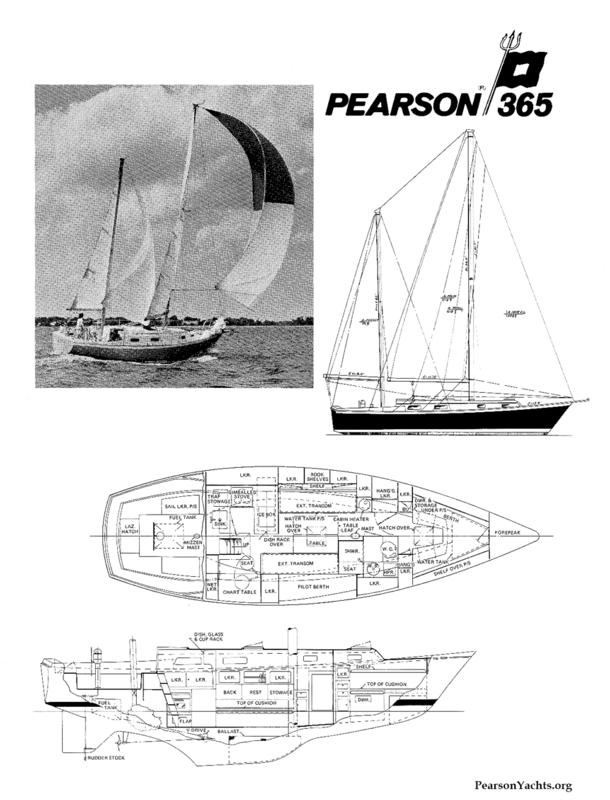 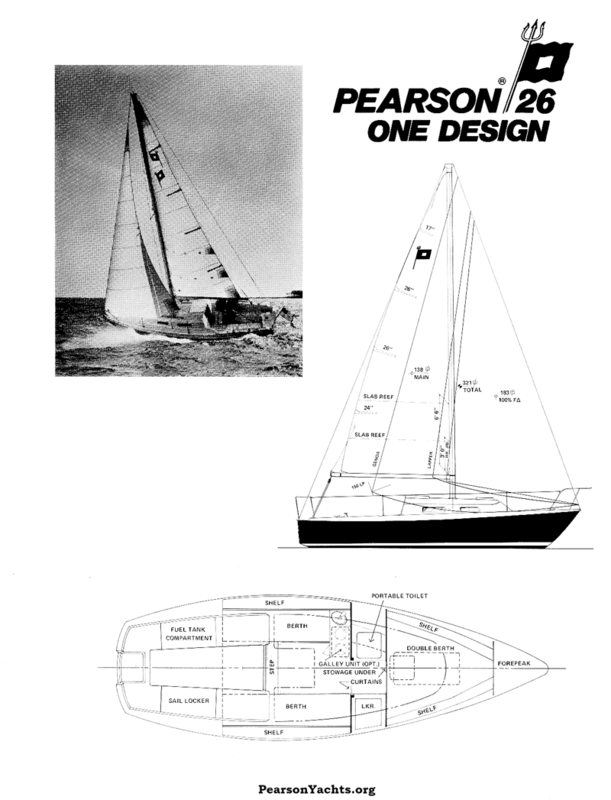 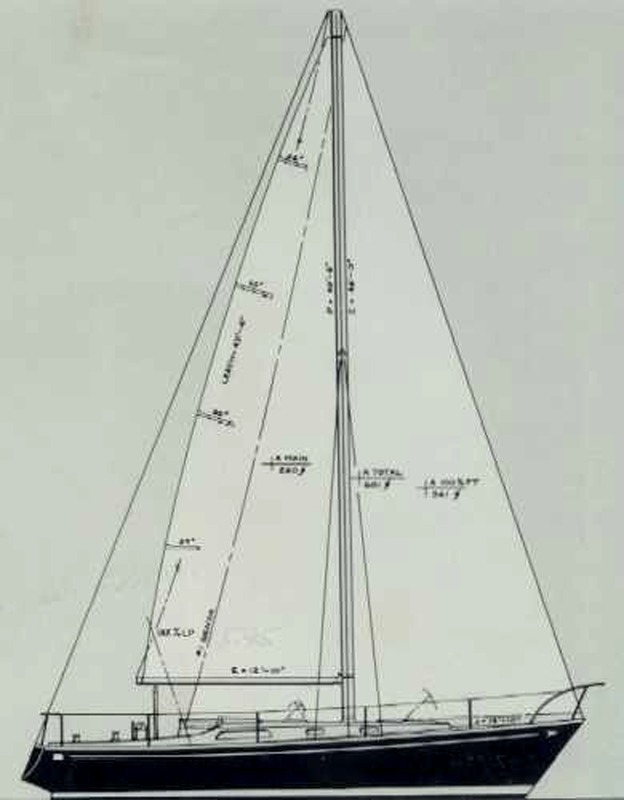 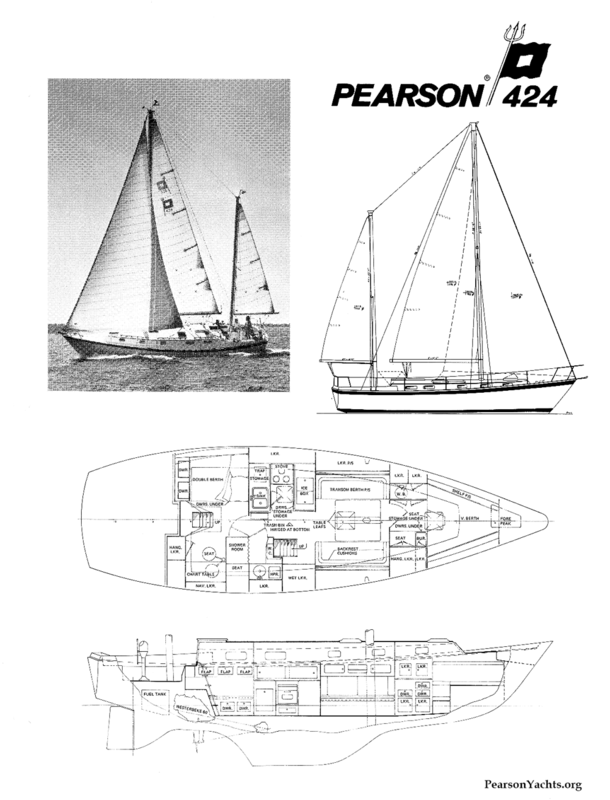 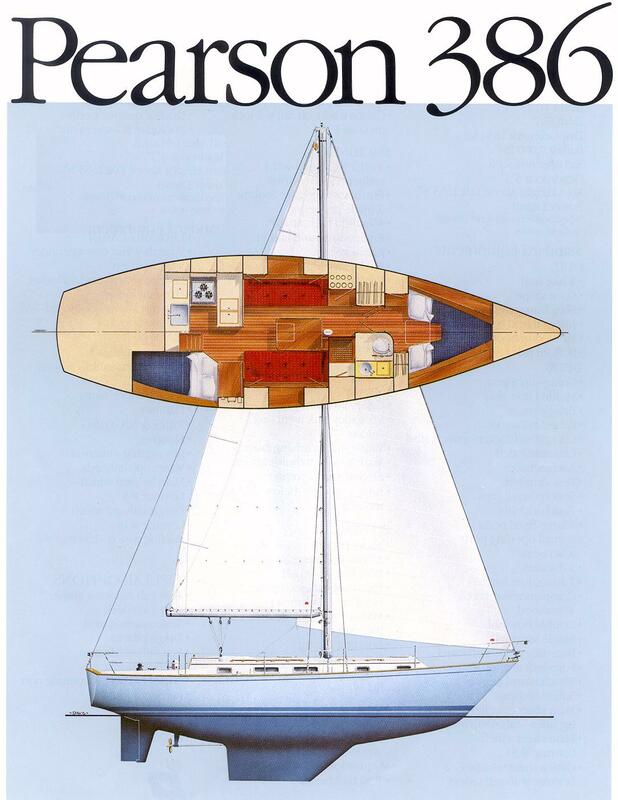 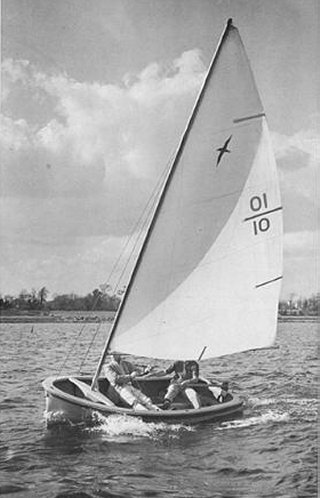 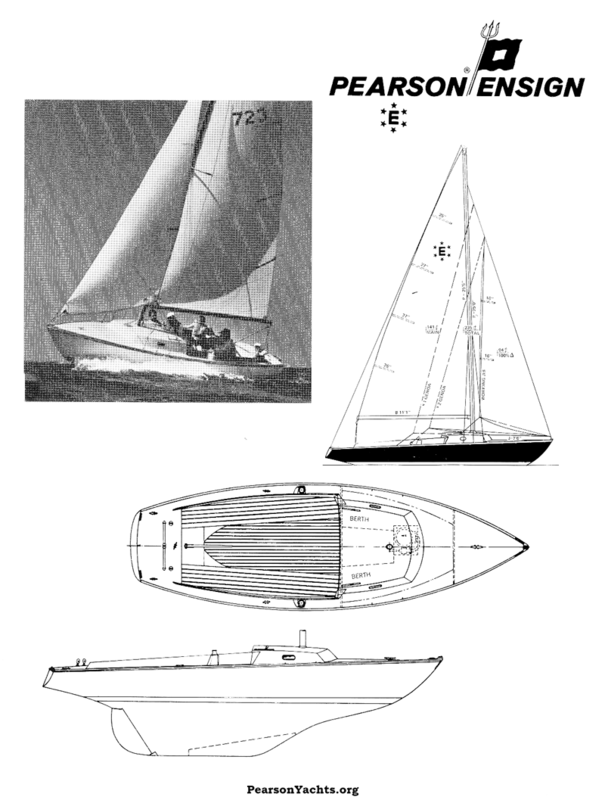 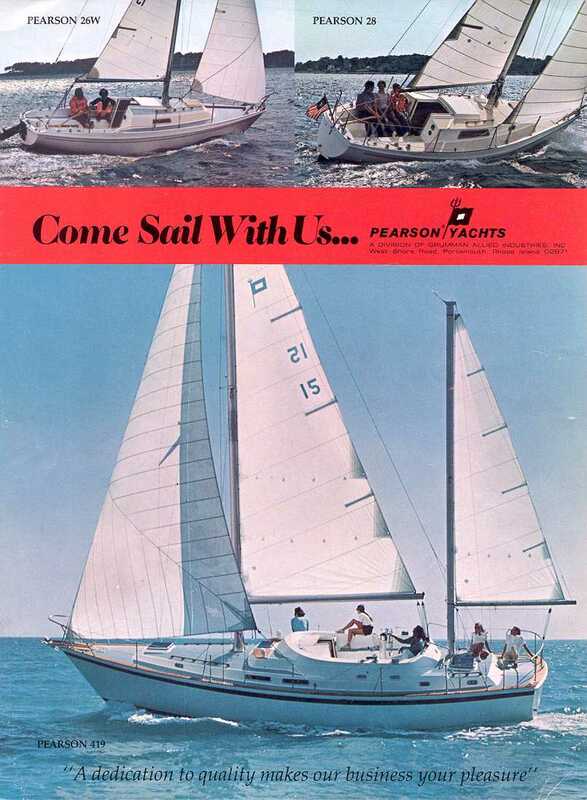 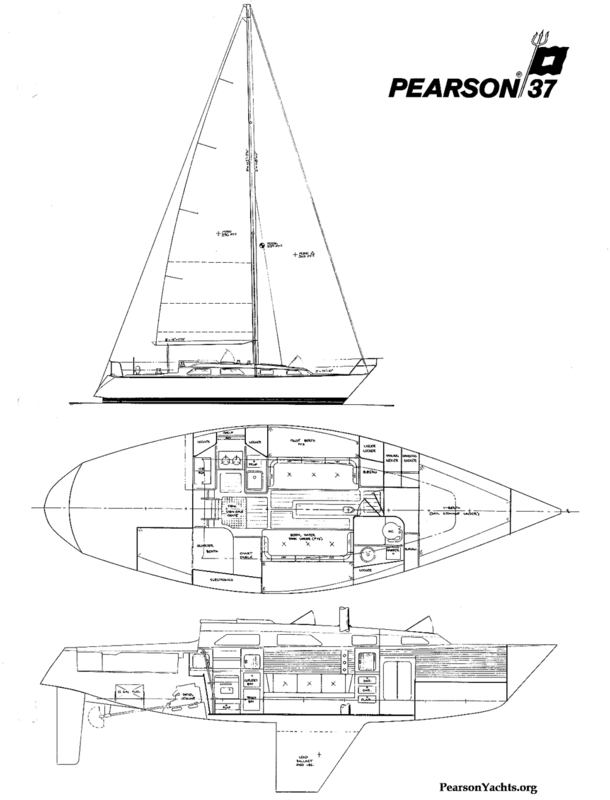 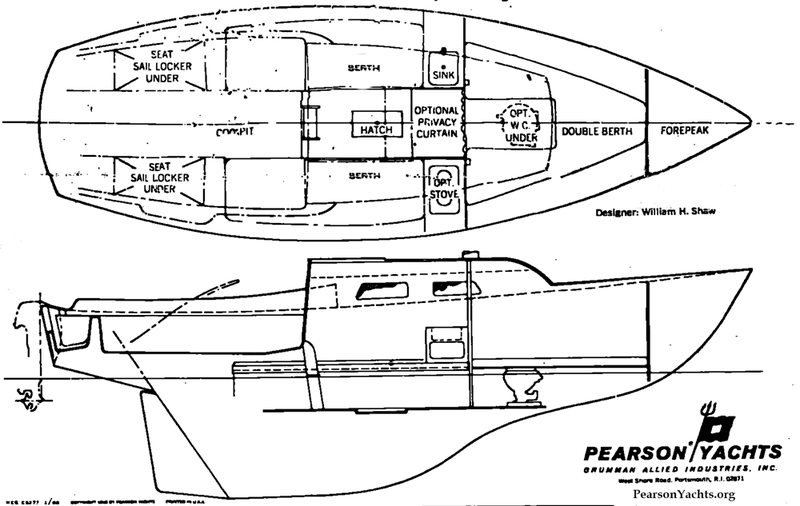 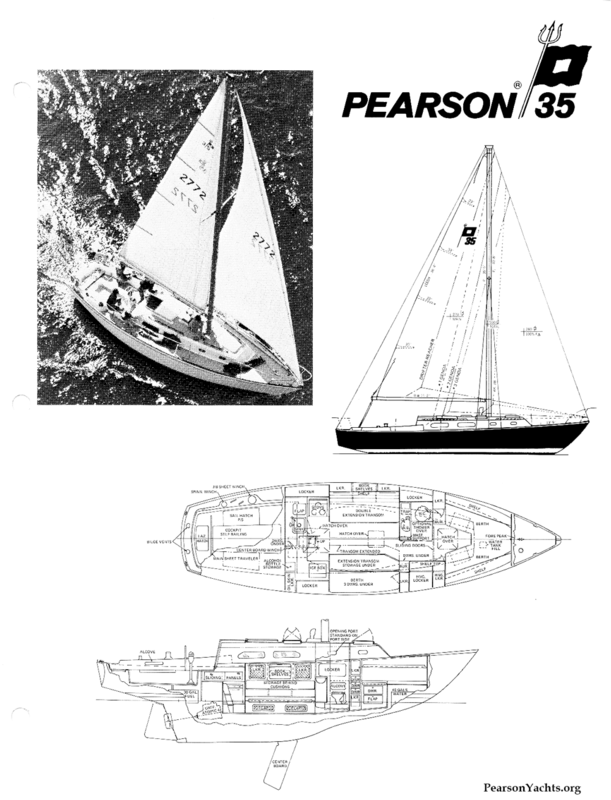 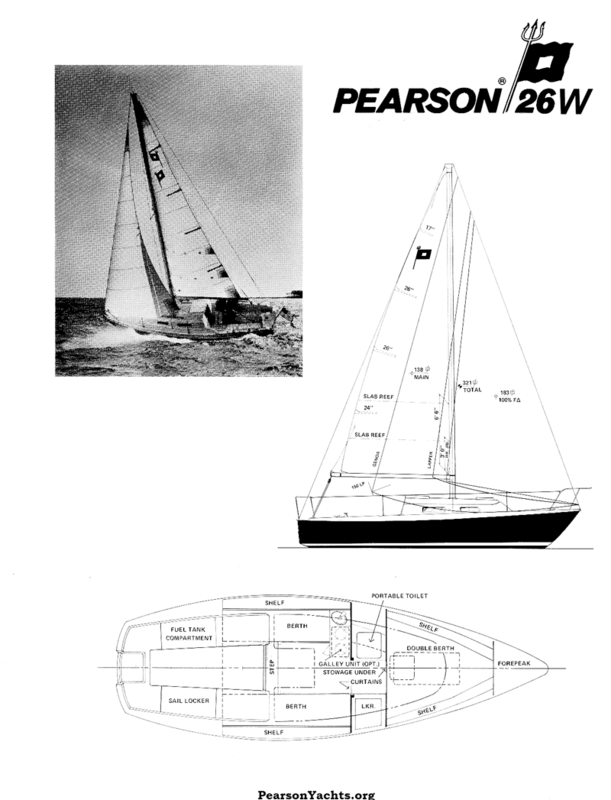 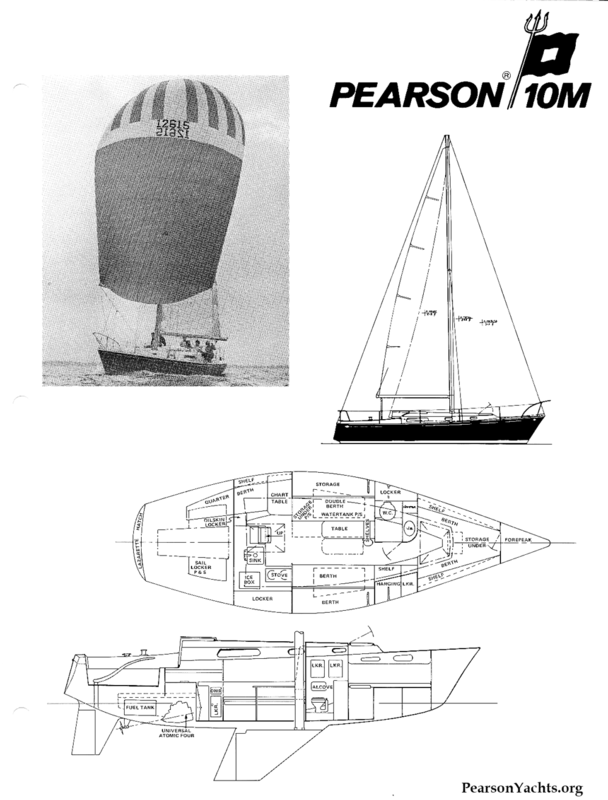 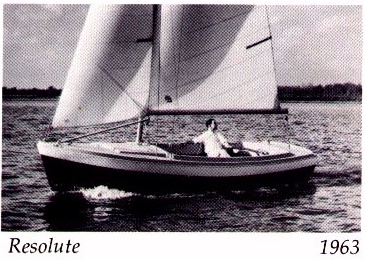 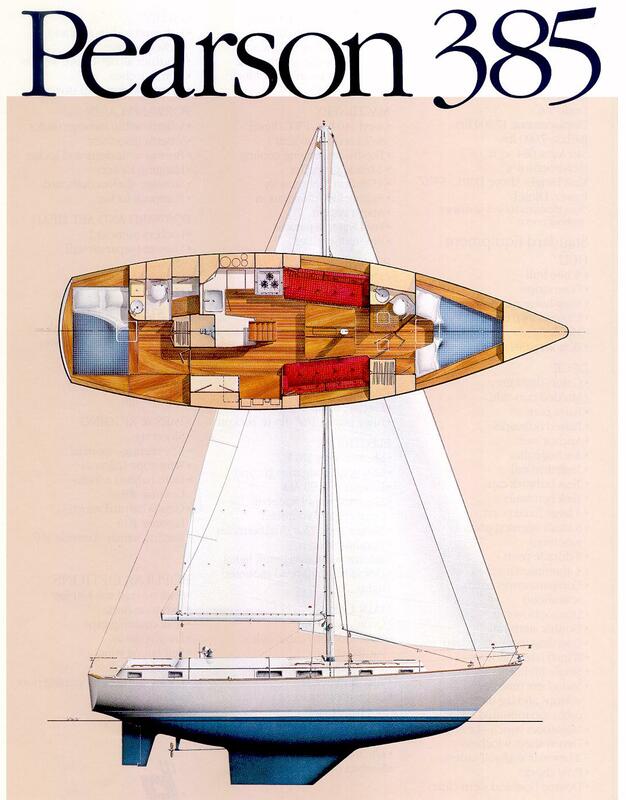 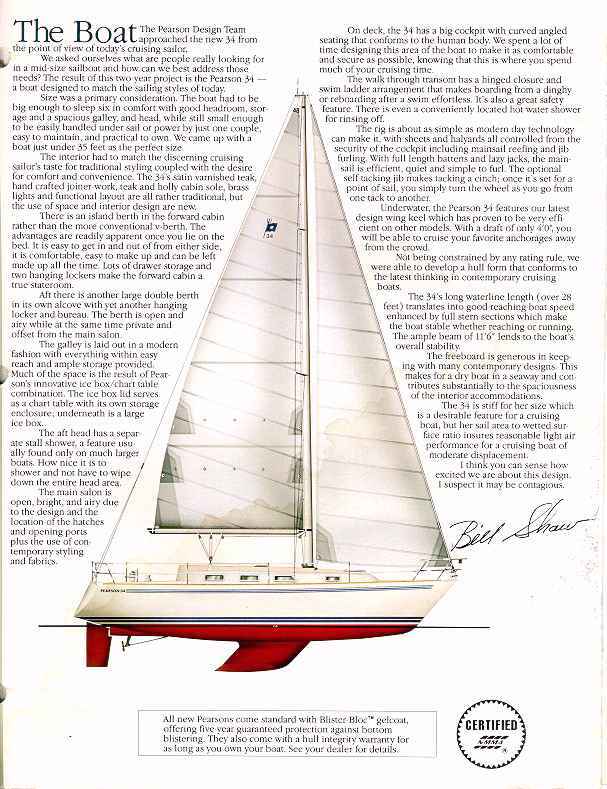 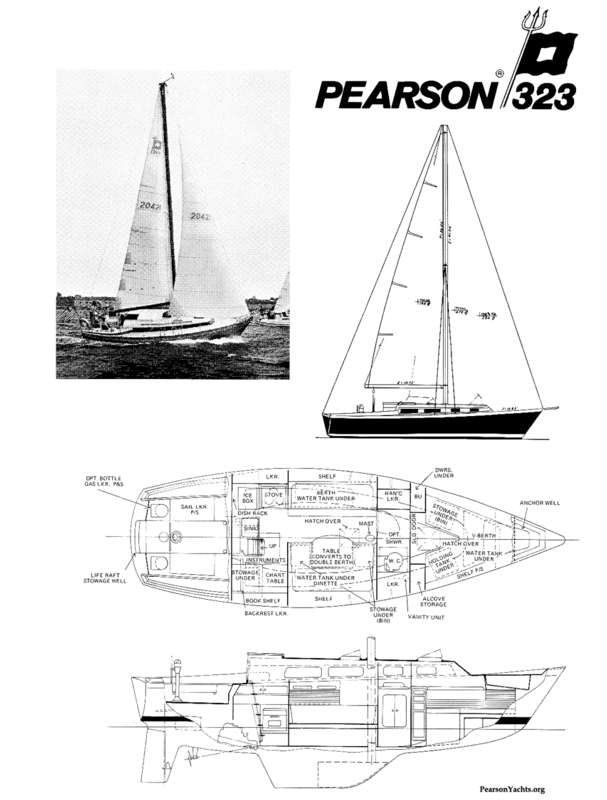 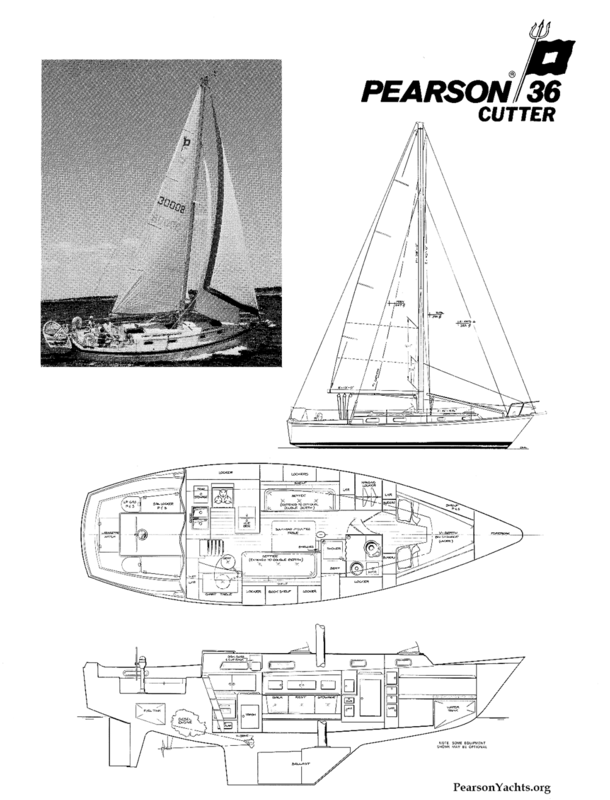 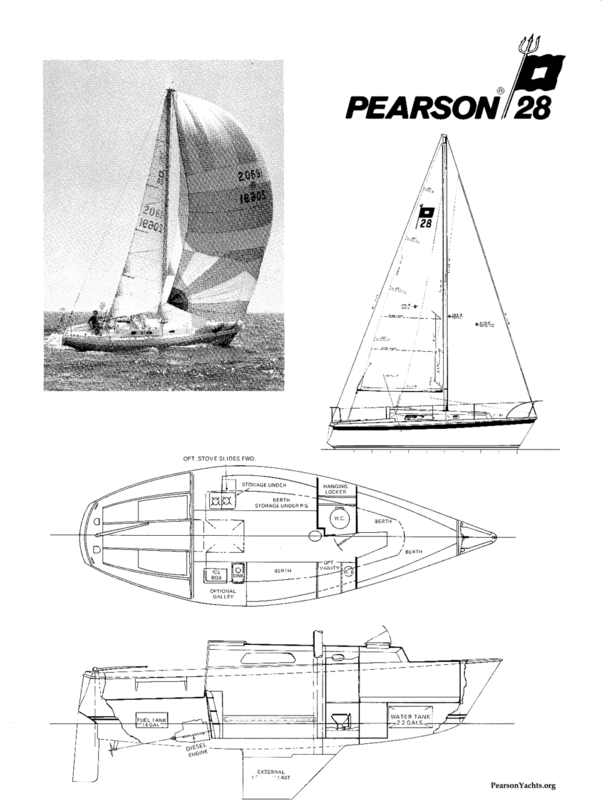 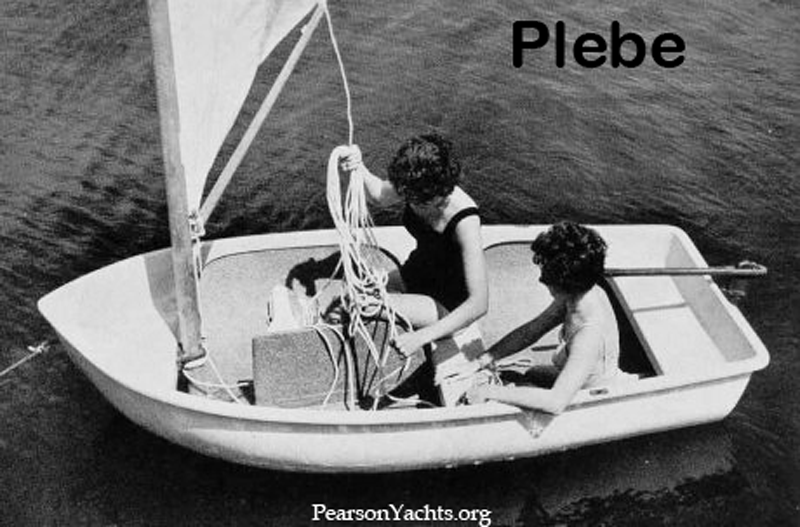 From 1956 to 1991 Pearson Yachts produced over 60 models of sailboats which are listed here in a comprehensive table. 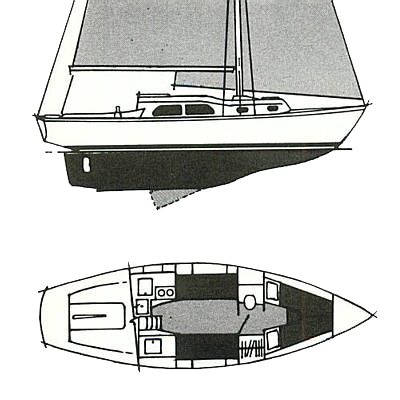 Click header field to sort by column. 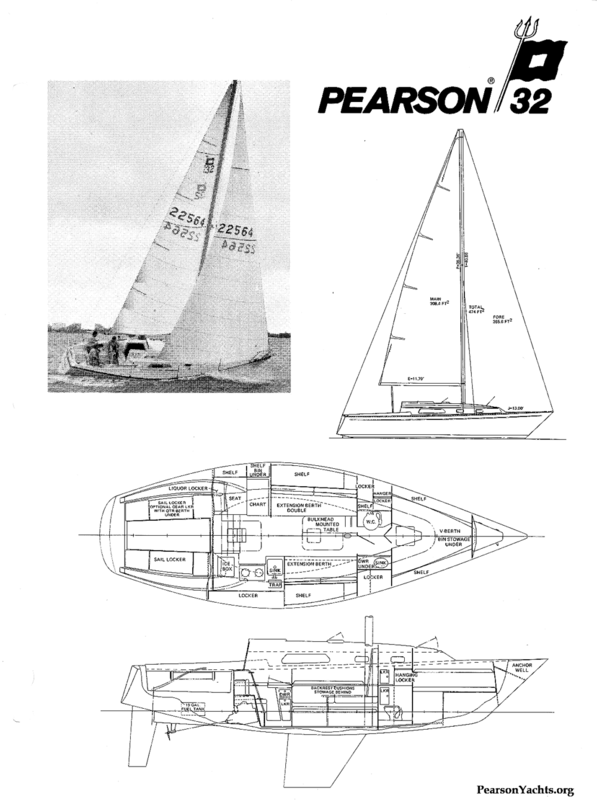 Model: Pearson model name and link to line drawing. 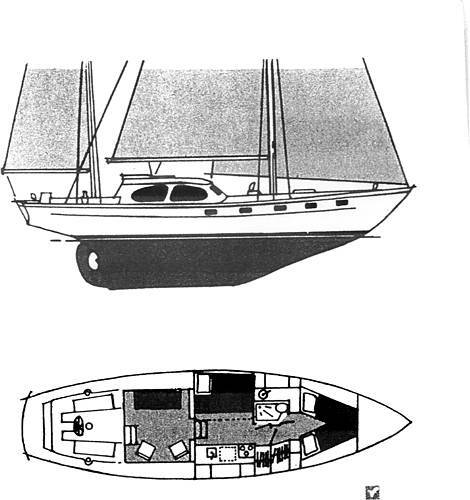 Type: Boat and Rig Attributes. 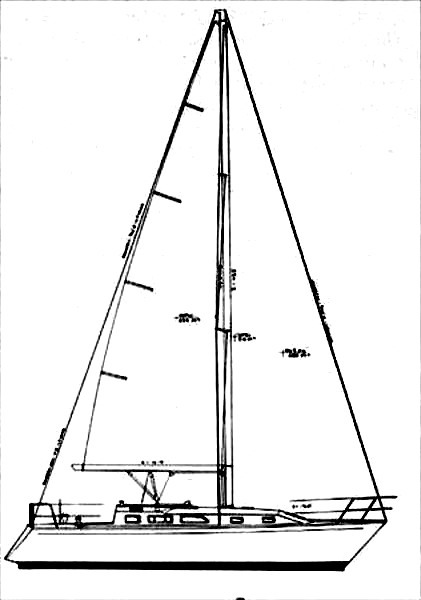 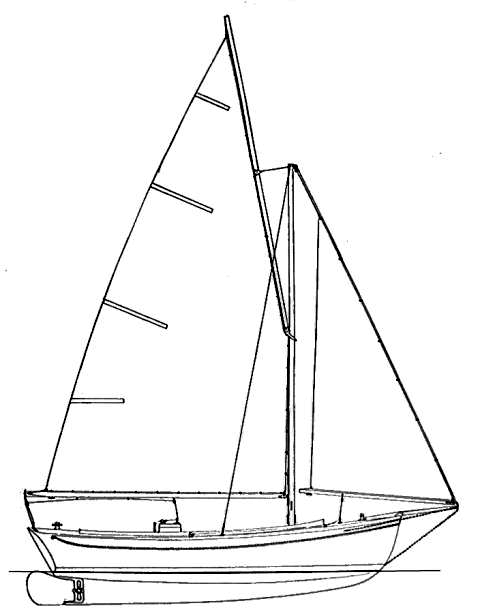 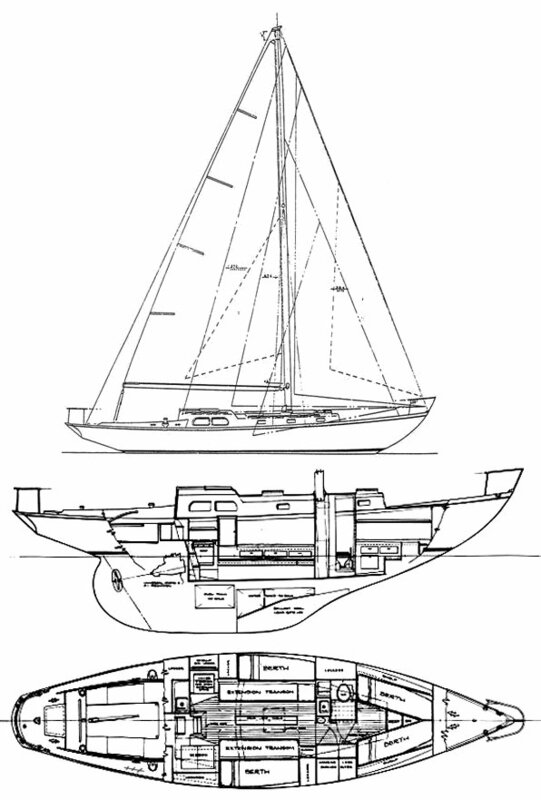 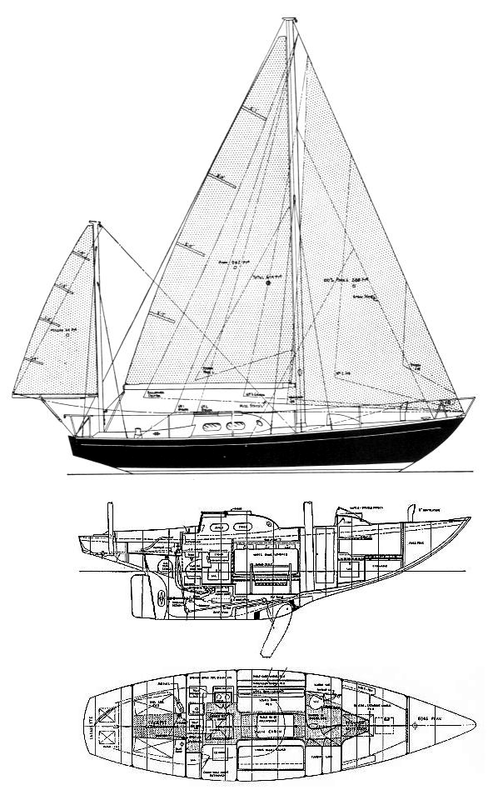 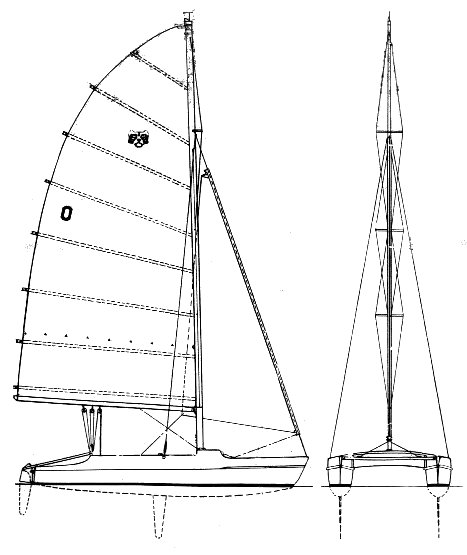 All types are Bermuda rigged sloop, single mast with fore-and-aft sails, unless otherwise specified by Cat, Ketch, or Yawl. 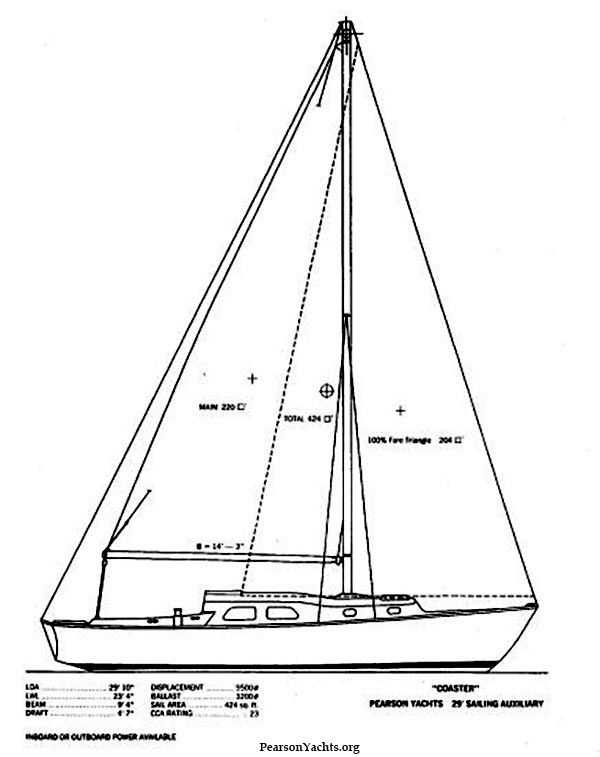 LOA: Length Over All, the maximum length of the hull, in feet, from stem to stern measuring parallel to the waterline. 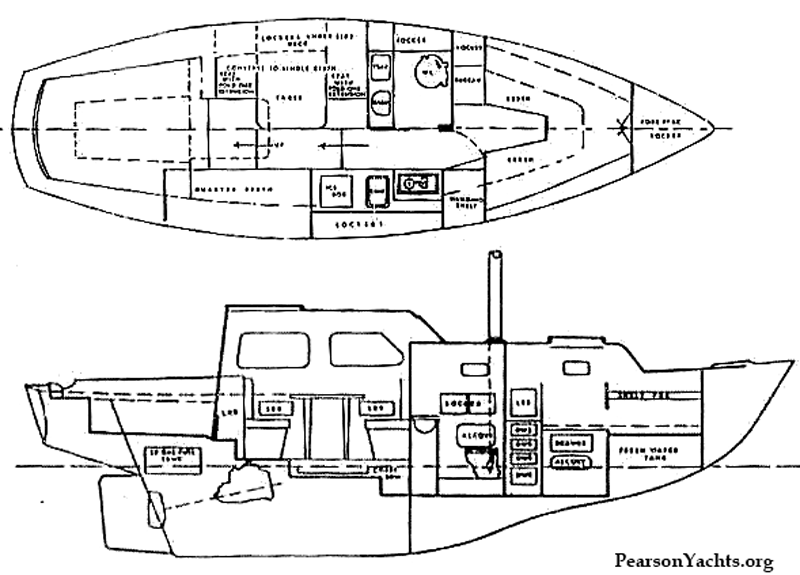 This does not include projections of pulpits or spars. 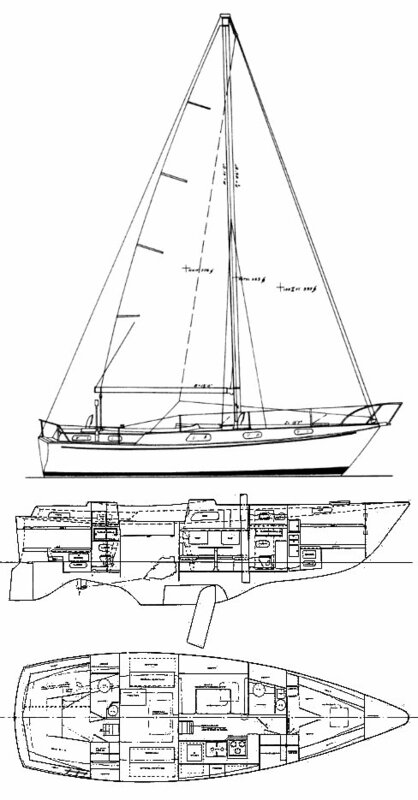 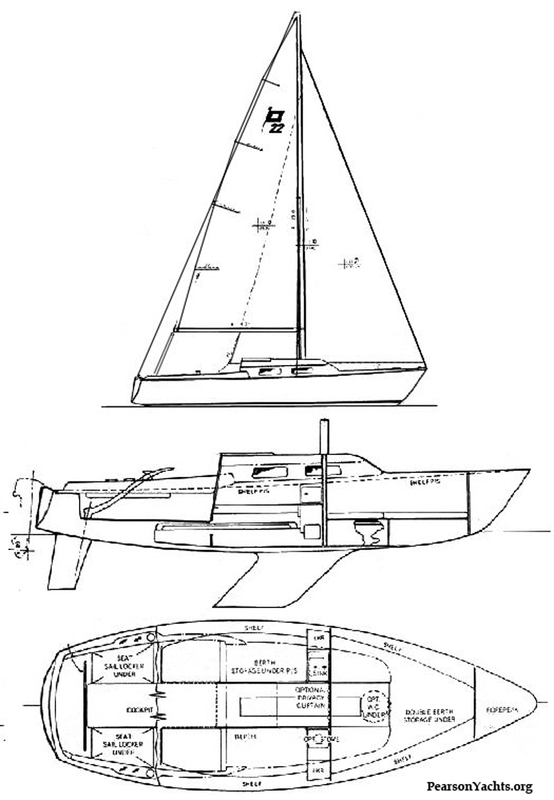 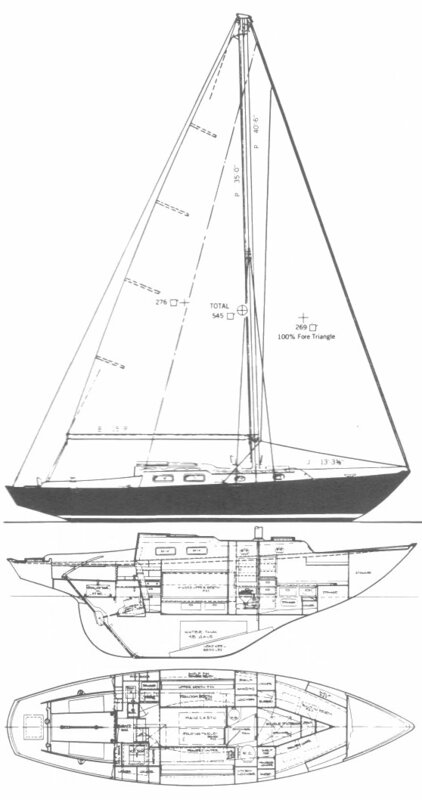 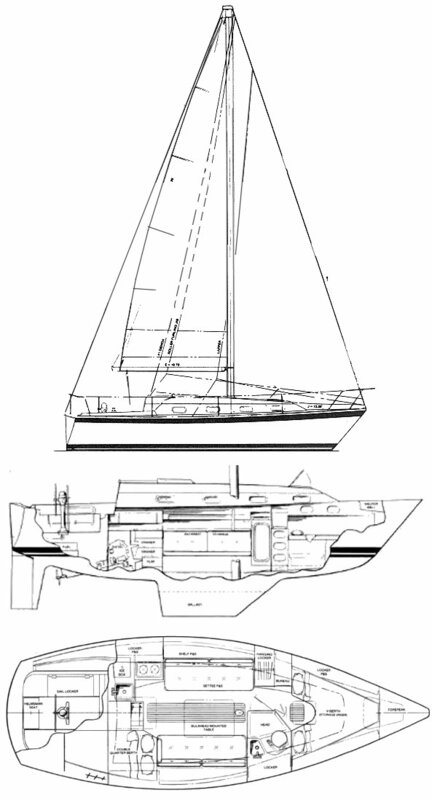 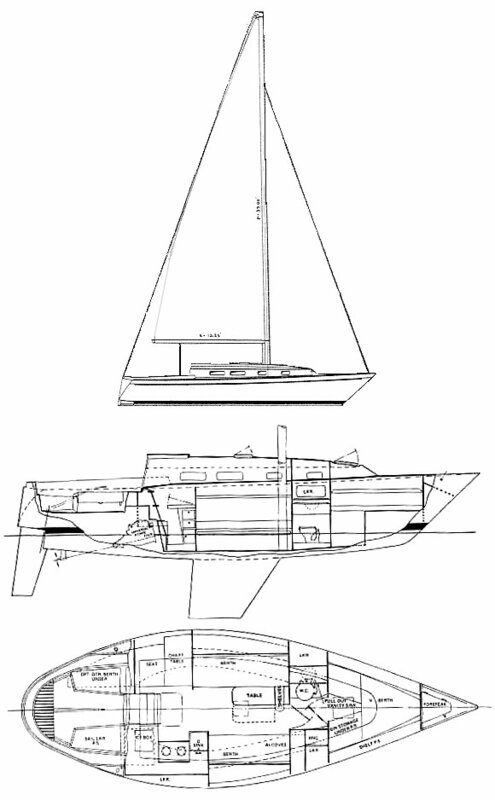 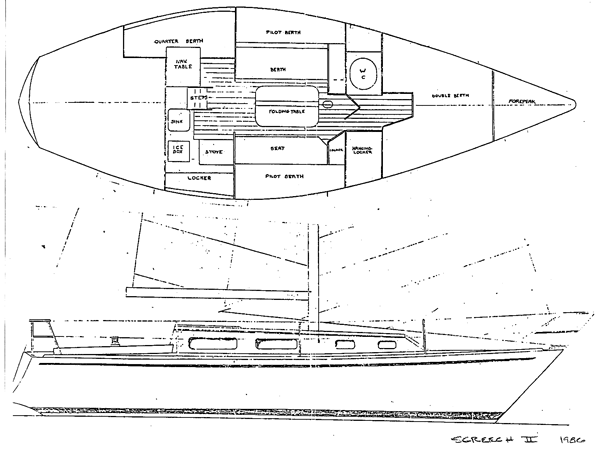 Draft: Deepest extent of hull, typically bottom distance from waterline to bottom of keel. 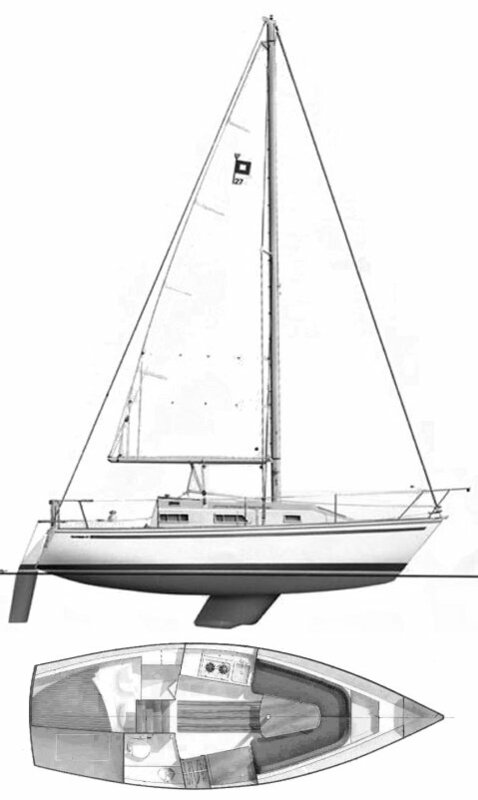 DISP: Displacement, the vessel's weight in pounds, calculated from the volume of water displaced by it. 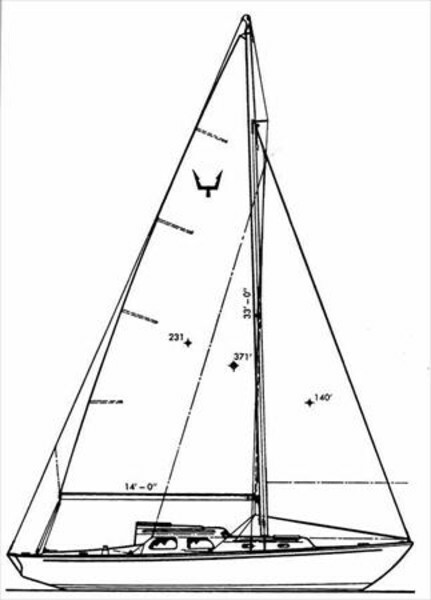 SA/D: The sail area to displacement ratio is a bench-mark to evaluate light air performance as well as heavy air conditions. 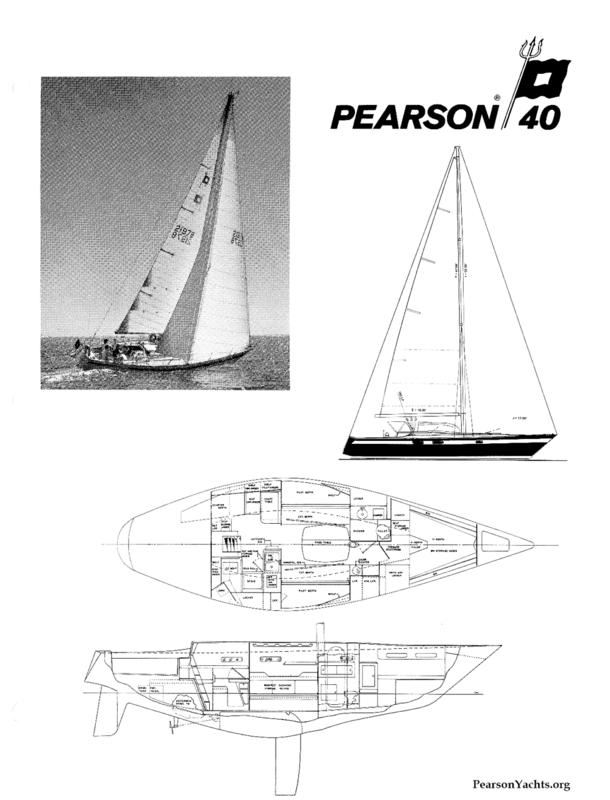 Production: Approximate years and number produced. 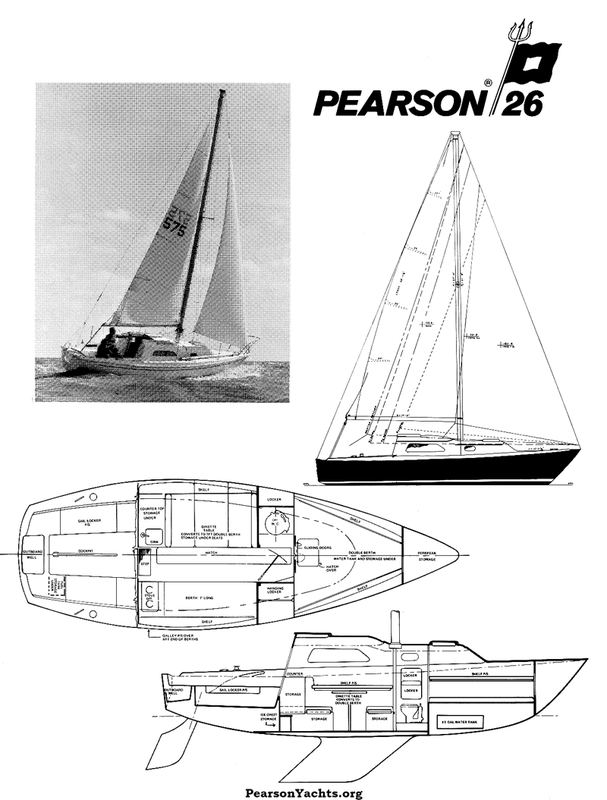 Home: Reference page for this model. 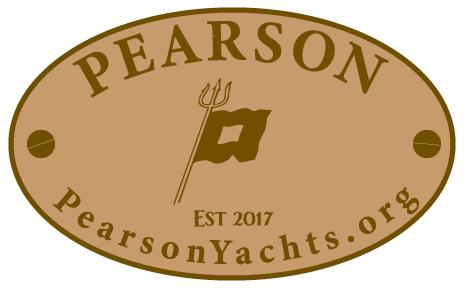 External Websites: External sites open in new browser tab or window. 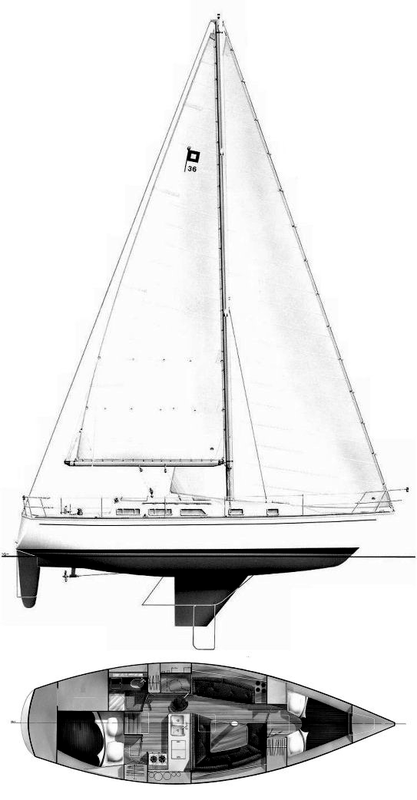 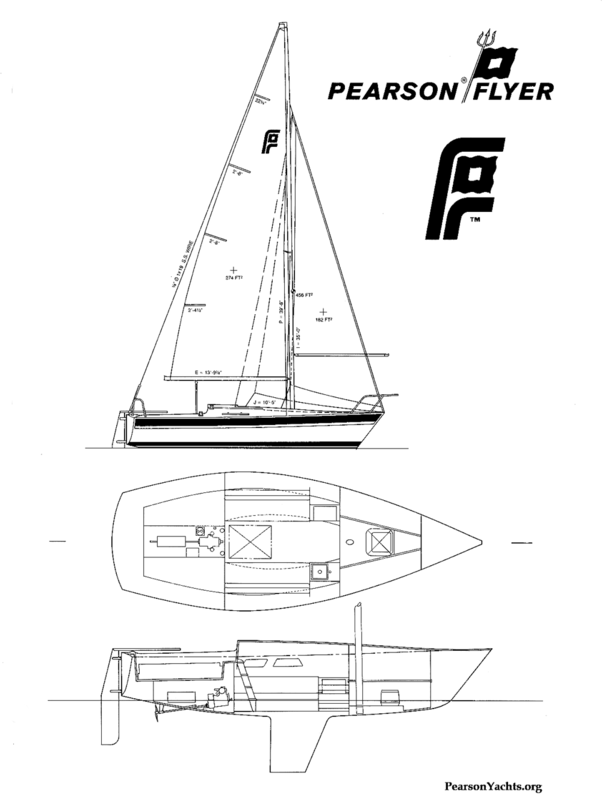 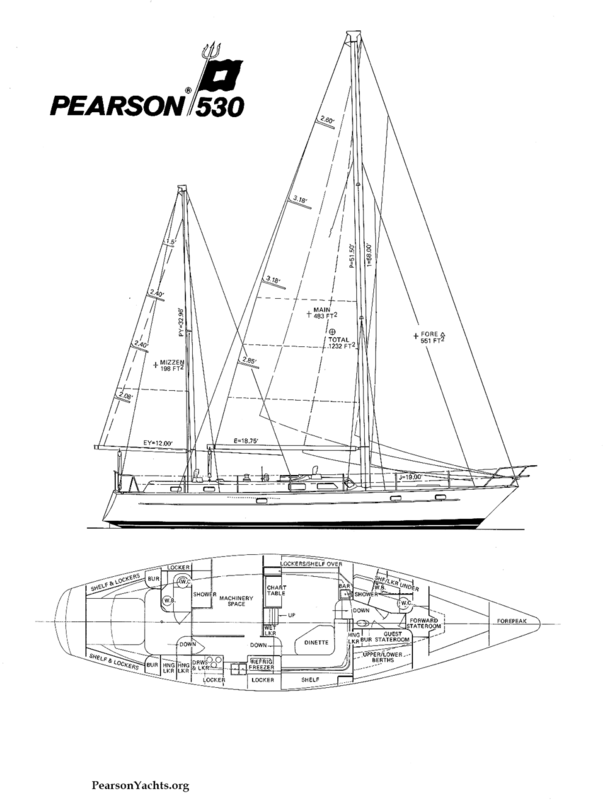 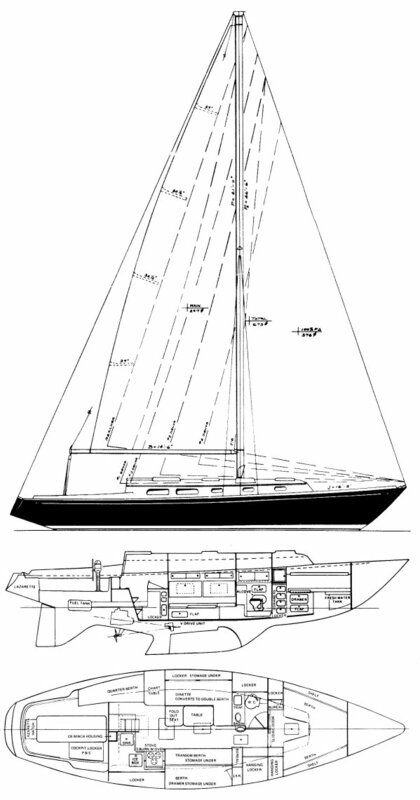 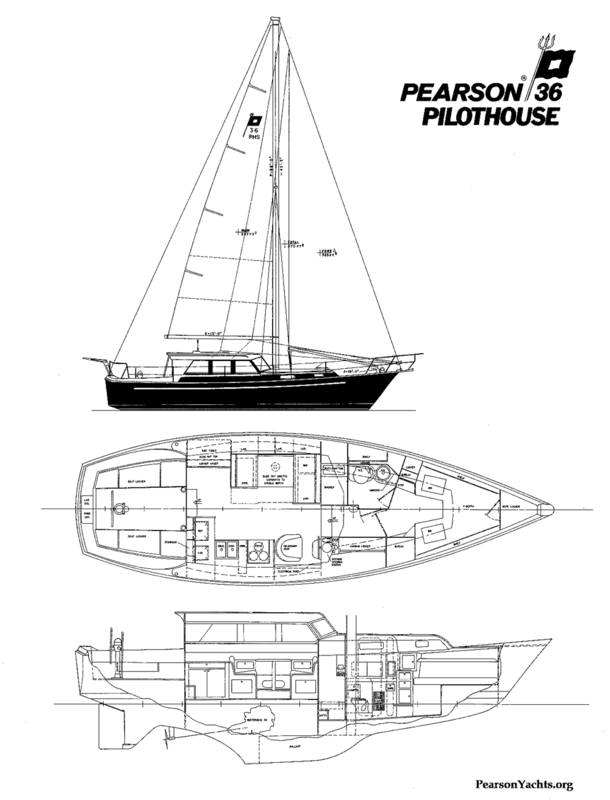 Specifications are approximate from Pearson Yachts.